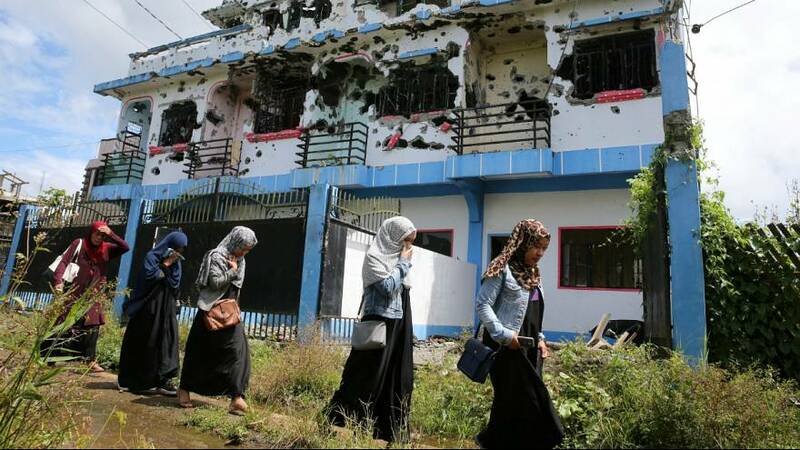 Thousands of residents of Marawi City in the Philippines have started returning home, only for many to find their dwellings gone, or ransacked. The main battle area remains off limits, until possible booby traps and unexploded ordnance have been cleared. Five months of an army siege of Islamic militants siege left more than 1,100 people dead and sparked fears of Islamic State group gaining a foothold in Southeast Asia. “No, no more persons. The house is totally destroyed,” said one woman. “Look what happened here. Please world help us. We are innocent,” said a tearful man. “This place is controlled by the military, 100 percent,” said another unhappy resident. Friends and neighbours have disappeared along with workplaces, infrastructure, and services. The scale of the rebuilding task is massive, and few here seem to beleive the government will spend as much energy helping them as it spent on defeating the jihadists. Returning residents were questioning where all their valuables went while the military fought the militants, with one man left with only a carrier bag of possessions and another only finding a single, charred bracelet, reported one camera crew. The length of the siege and the difficulty the military had in stamping it out has raised questions about the preparedness of the Philippines armed forces at a time when President Rodrigo Duterte has been suggesting his country could ditch its longtime ally the United States.